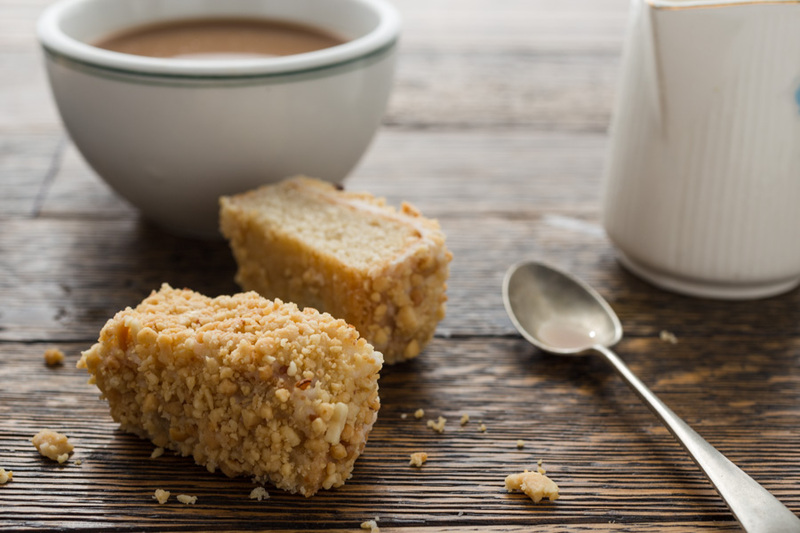 These mocha bars (aka peanut cake squares) were one of my grandmother’s favorites to serve when friends and family would come over for coffee. The recipe is from a community cookbook compiled by the ladies sewing circle of the small rural church she attended. What happened to coffee hour? Not so long ago we stopped by for coffee. I am not talking about meeting at a local national-brand specialty beverage company, I am talking about dropping by a neighbor’s house for a nice cup of joe. No skinny-half-fat-120-degree-tall-decaf-with-three-pumps-of-vanilla; just a simple cup of coffee. The coffee grounds were scooped from a tin can into the perforated basket of the percolator which was placed on the stove or, more recently, into the paper filter of a pour-over coffee maker. When the percolating stopped or the steady stream ceased, the black coffee was poured into sturdy mugs. And more often than not, a home baked goodie was offered. Cream and sugar, of course, would be available. My grandmother served these Mocha Bars when neighbors would stop by to share a cup of coffee and discuss the week’s happenings or to just take a break from the responsibities of homesteading. 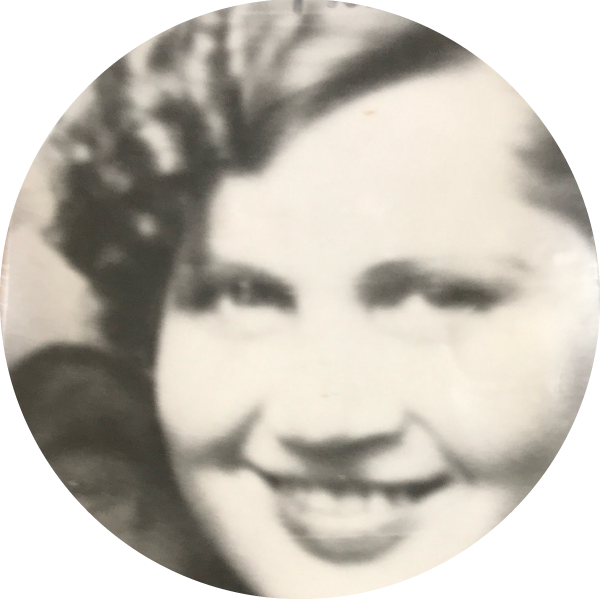 Cream was pulled up from the water of the well-house – she didn’t have the luxury of a refrigerator – and the percolator would be set atop the wood-burning stove. 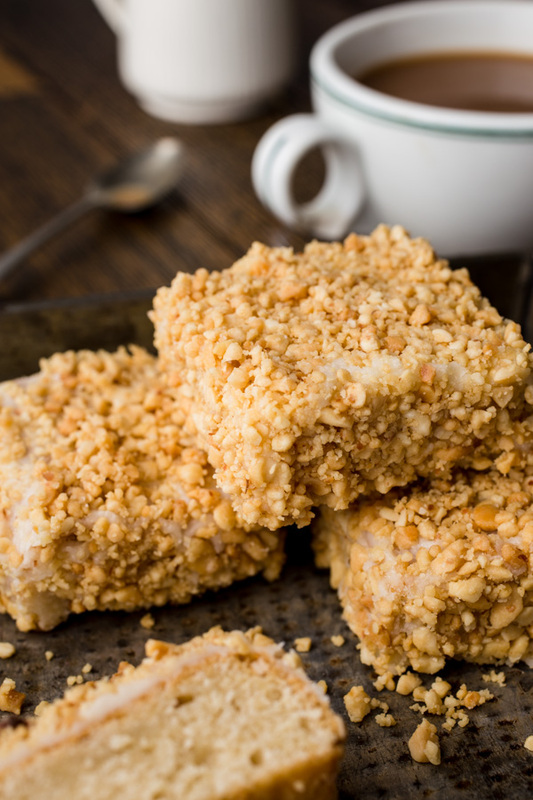 As my Auntie Kay recalls, Grandma always had a batch of these peanut cakes at the ready to be served with a hot cup of coffee. Maybe the sweetness of these handmade specialties helped to assuage some of the loneliness that comes from living on a homestead. Maybe they were a reminder of family and friends left in far away lands. Whatever the case, these Mocha Bars are the perfect compliment to a dark cup of coffee. Maybe you will serve them at your next coffee hour. I sure hope so. 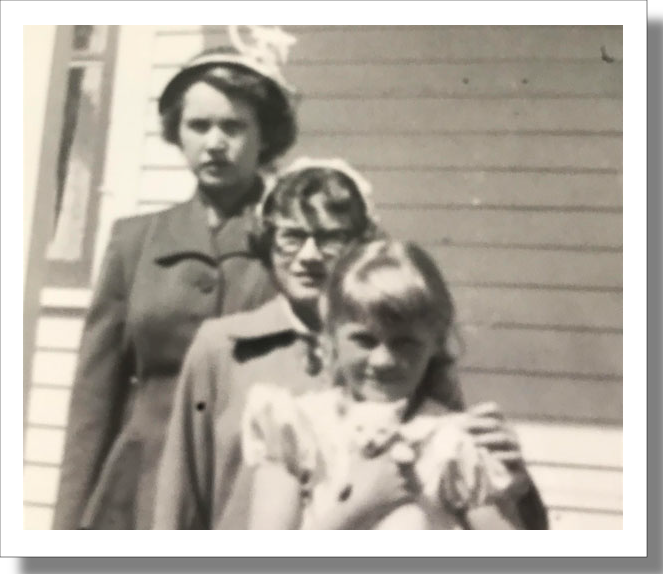 Grandma Florence, Auntie Kay and Aunt Wanda and the farmhouse in Northern Minnesota. 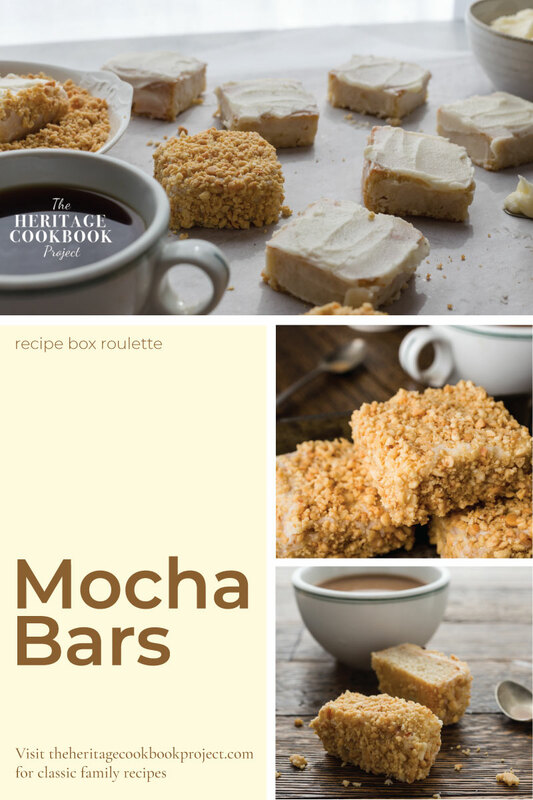 These mocha bars were one of my grandmother's favorites to serve when friends and family would come over for coffee. The recipe is from a community cookbook compiled by the ladies sewing circle of the small rural church she attended. Heat oven to 350˚ F. Grease and flour a 9” x 13” pan. In a clean, dry, large bowl, beat egg whites until soft peaks form when beater is lifted. Set aside. With mixer on medium speed beat butter until softened and light in color, about 3 minutes. Add sugar and continue to beat until very light, scraping down sides. Turn mixer to low and mix in coffee until completely combined. 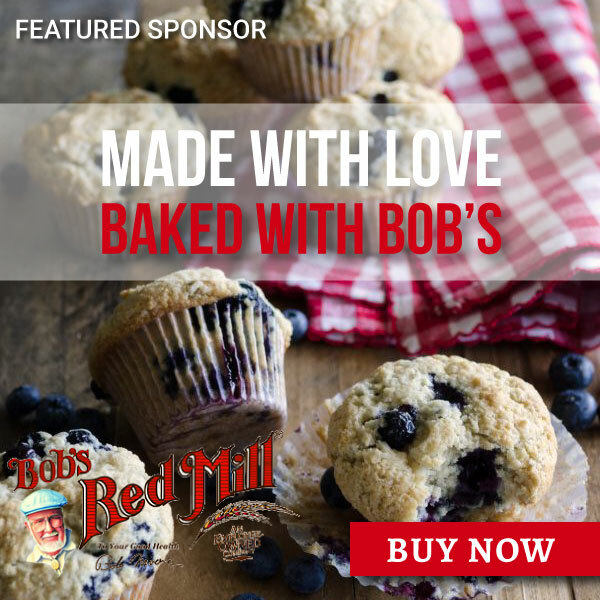 In a medium bowl, combine flours and baking powder. Stir dry ingredients into batter being careful not to overmix. Gently stir a quarter of the egg whites into batter. Folder the remaining egg whites into the batter. Pour in to prepared baking dish. Bake for 20 minutes until the cake springs back lightly. Cool for 15 minutes and remove from pan onto a wire cooling rack. When completely cool, cut into 24 squares. To make frosting, with mixer on medium speed, beat butter until softened and light in color, about 3 minutes. Lower speed and add cream, mixing to incorporate completely. On lowest speed, add powdered sugar, beat until smooth and creamy. Frost all sides of cakes and roll in chopped peanuts. This is my Grandma Florence; my dad’s mother. She was an accomplished baker and loved to make sure that her guests enjoyed their visits to the farm. We loved our time on the farm. Riding horses, collecting eggs from the chicken coop and playing dress-up. I remember mocha bars from my childhood and am so glad I found your recipe, thank you for sharing it. What a beautiful recipe. I love how light and fluffy these mocha bars look. Thanks Sandi. They are so tasty. I love that my grandma used to “whip” this up whenever guests would come over to the farm.